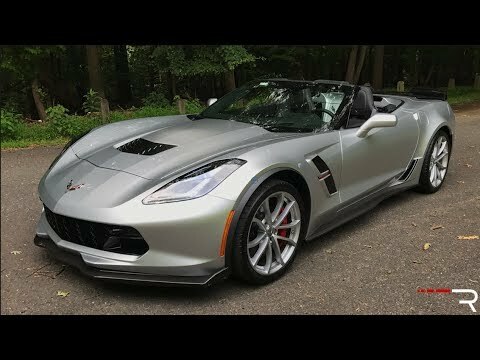 With supercar styling and as much as 650 horsepower, the 2018 Chevrolet Corvette continues its legacy as America's most popular and most powerful front-engine, 2-seat sports car. Available as a coupe or convertible, the new Corvette packs big V8 power, rear-wheel drive and unexpected refinement as it competes on the world's stage and racetracks against Porsches, Jaguars and Aston Martins. The advantages of a Chevy corvette purchase. I have always enjoyed performance vehicles and this one has outperformed all others I have heard about and looked into. It is very low maintenance, and uses a very low amount of gasoline, adding to the fact that it is good on the pocketbook saving you money at the pump when you go in to fill up. Extremely in love with the model. This car is by far the best one I have had. It was expensive but totally worth it. I love the smooth driving. I do not regret buying this car. Complete 5 stars given. The seats are very nice. The seat warmers come in handy during the winter months. I will not trade this in for a while. The lights and the color. The most comfortable car and it is custom to my liking and everything I like is in my car so its perfect. I would recommend this car to anyone who has the money to purchase this. Everything works perfectly and the car I'd really fast so you can get from coast to coast in a breeze.